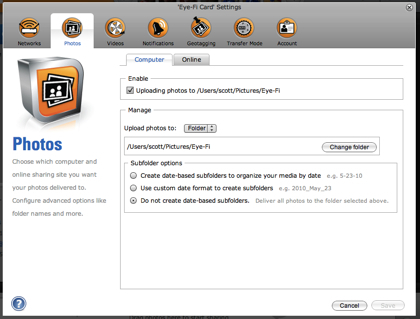 FromEye-Fi:Eye-Fi desktop software consists of two parts: a small application (Eye-Fi Helper) that runs on your computer and a graphic interface application (Eye-Fi Center) that runs independently of a web browser or internet connection. Features include mangage and view how and where your card uploads photos and videos, republish items to different sharing sites, and view photo and video uploads by date with a calendar. 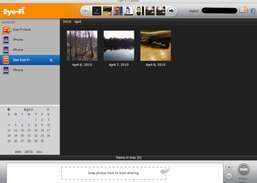 You can view and save photos taken on your phone directly on your PC.